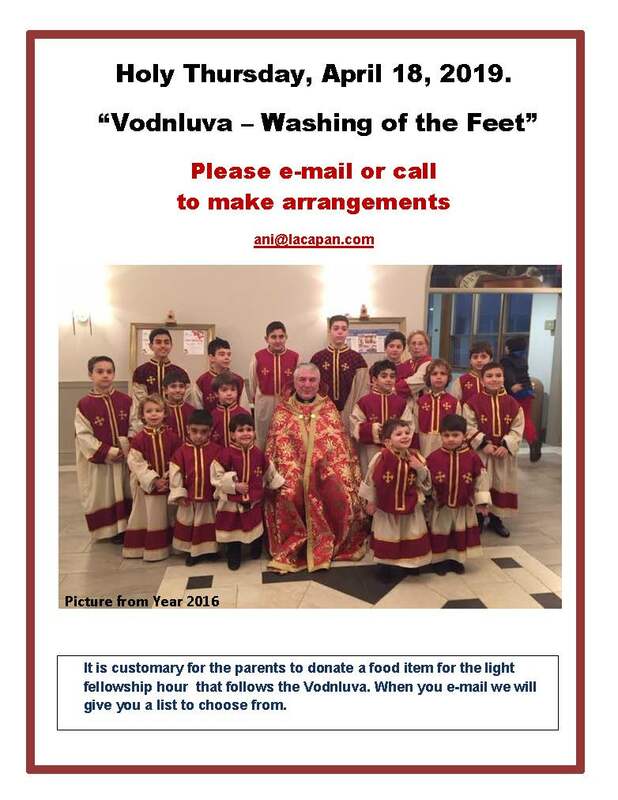 Please email Mrs. Ani Capan at ani@lacapan.com if you are interested in having your child participate in the Washing of the Feet – Vodunluva evening service. 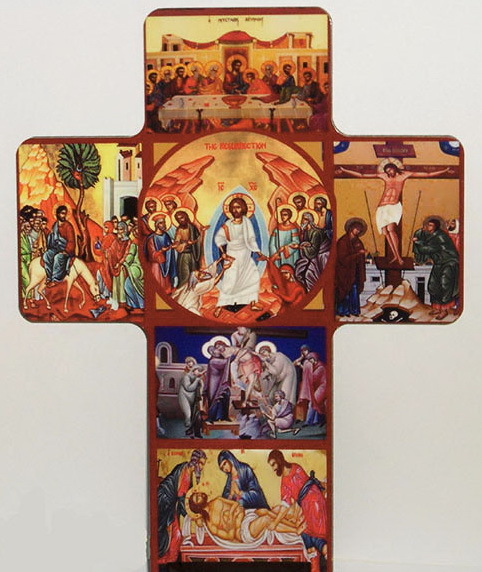 This year Vodnluva is on Holy Thursday, April 18, 2019. If you would like your son(s) to participate please let us know as soon as possible. You need to be at Church no later than 6:45pm, and your child should be wearing white socks. It is customary for the parents to donate food item for the light dinner that follows the Vodnluva. Please contact us with what you want to bring by e-mailing to ani@lacapan.com or call or text to mobile 201-390-4891. Please let us know what you might be able to bring by writing your name & quantity next to the item when you remail ani@lacapan.com.